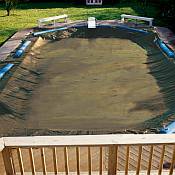 PoolTux Emperor Winter Swimming Pool Cover for 18ft x 36ft Rectangle In Ground Pool. 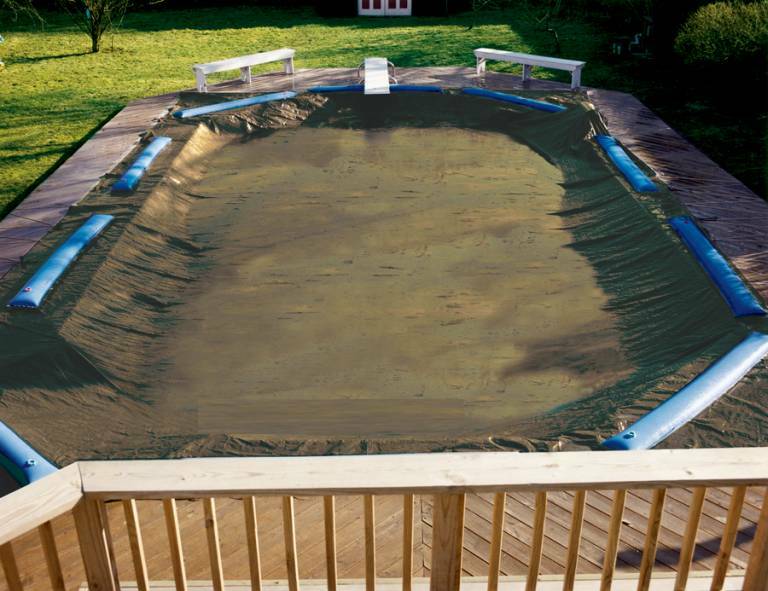 The PoolTux Emperor In Ground Winter Cover is an 8 mil Tan on black triple laminated polyethylene cover with heat sealed seams for added strength. 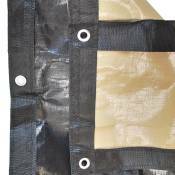 The edges incorporate a sewn-in polypropylene cord for reinforcement. Aluminum grommets are located in each corner and there are 2 inch x 12 inch water tube loops spaced every four feet. This Cover has a 20 year limited warranty; 3 years full. 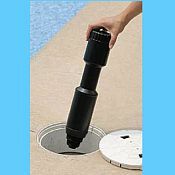 Skimmer Guard The Skimmer Guard is designed to absorb the expansion of the freeze, allowing your skimmer to last throughout the winter undamaged. 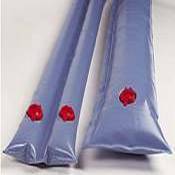 Just place the Skimmer Guard into your skimmer to absorb any expansion caused by freezing water. The freezing water will actually compress the Skimmer Guard instead of expanding outward and cracEmperor your skimmer. 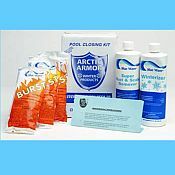 Anti Freeze Concentrate Pool Antifreeze is concentrated so 1 quart mixed with 3 quarts of water will make 1 gallon of antifreeze that will protect pool plumbing down to -40° F. Comes with a dilution chart, so you can make the strength you desire. 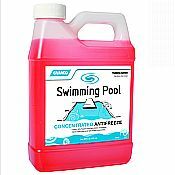 Concentrated antifreeze is totally safe for swimming pool use and non-toxic. 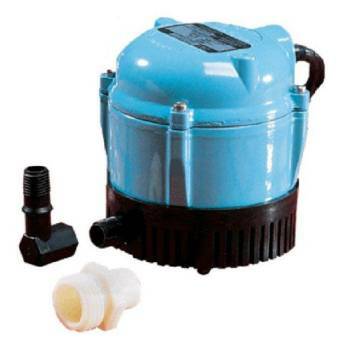 Safe for all types of pool plumbing. 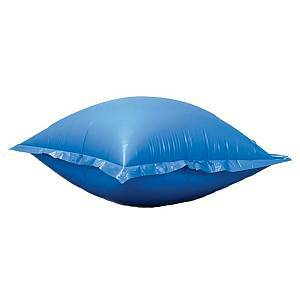 100% Propylene Glycol.